This will also be the last time I'll be writing from Mexico. I head home next week on the second. I want to thank all of you for your support and love. I have loved my mission and I'm so grateful that I had the opportunity to serve. It's been an amazing experience that I'm sure ¨if you ask me¨ I could talk for hours about. I read a quote that I think is so true. ¨The Lord strengthens our backs to support our trials.¨ -Elder Holland. Its so true, when I look back in the darkest hardest moments I can always see the hand of the Lord. It is so rewarding to know that when we are in the service of God, He will help and lift us up. He will not let us fail. We just need to keep the big picture. I love you all and I'm sending muchos abrazos y besos from Tlaxcala, Mexico! Family picture for the Christmas card. Have a great luchador Christmas! When your investigators get married! Here are some pics of what we've been up to these past few weeks. We are really applying ilumina el mundo (light the world) with all the members here in Tezoquipan! 1. Be a good samaritan... the Delgado family had a great idea of making home made goods, DOUGHNUTS, to share with the rest of their gigantic family. There are so many of them that they all live in a privada that's named ¨Zarahemla.¨ I'm literally living in the mormon colonies. 3. We had our ward Christmas party... which means that the Relief Society preps their skirts and dance their feet off. Hermana Ruiz and I were trying to copy their moves in the back . Mama Irma loves having her picture taken. She´s the hermana that lives upstairs from us. 4.Got to say goodbye to this chica Hermana Rosa! She was baptized in June and still going strong! As we are going into this week I feel really grateful that I can have another Christmas here on the mish. We have been able to do the light the world project every day and enjoy the sweet spirit. I love how this ward is so united. Hermana Ruiz and I are running around like crazy trying to finish these 2 weeks we have left. I love you all and thanks for your support! So sorry about last week! This email is going to be a mix of what's been happening these past 2 weeks and what I've learned. To tell you guys the truth, last week was a little rough. We had to face some pretty big obstacles Hermana Ruiz and I. But we learned a lot and we were greatly protected! I´LL EXPLAIN. One day we decided to go tracting in an area that we haven't been to before. We decided to go the extra mile and go to the last house. But as we were walking, 2 huge really angry dogs started freaking out. Not a second flew by when I realized I forgot to teach my compa something really important: not to run when there are really mad dogs. But it was too late, my companion took off down the hill. Knowing that there would be no way to catch up to her I realized I was dead meat. I honestly stood there and prayed as these dogs came charging. But right before they came to bite me alive, their owner came running out of the house and saved me. There is a point to this story and I'm going to head to the scriptures. In the Joseph Smith History we can read Joseph´s experience of the first vision. In verse 15 and 16 we read about a thick darkness that seemed to be his destruction but as he prayed, Jesus Christ and our Heavenly Father came to him. I know that before the most spiritual experiences, satan will do his best to interfere. I said that these past 2 weeks have been a little rough but in the end Hermana Ruiz and I were able to have some experiences that made it all worth it. Our mission leader and his family hadn't had the courage to teach dear friends about the plan of salvation after the death of their only son but finally decided to do it ( it's actually the same family where we gave service husking corn a few weeks ago). 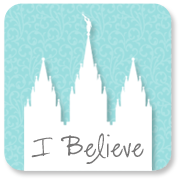 With a carefully planned lesson and sincere testimonies this family was comforted and hopefully in the future will be able to go to the temple. For now, they want to keep hearing from us. A member gave us a reference of 2 little girls who were taken out of their house by the government. They now live with their grandparents. As we are teaching them, we are helping them understand who they are and the worth that they have. I feel very grateful that Heavenly Father trusts me to help teach His children. And I know that trust comes from going through trials to prove my faith! We are very happy! Also check out light the world! I'll talk about what we are doing for Christmas next week! And that's a wrap with our first change here in Tezo town! We got a call from our ward mission leader saying that a couple of ancient investigators wanted our help to ¨piscar" which I have no idea what the significance in English is... like harvesting corn? I guess they wanted to see if we were the real deal... We had tried to contact them before and not had much luck so we thought this was a great idea. Saturday morning we headed to the fields (which are everywhere here) It was pretty tough work and I cut my fingers a lot but over all a really good experience. The family was SO impressed that they offered us Chela´s, which is a really cold beer. But we agreed on an appointment instead. While we were peeling off the husks of the corn I got to thinking about how the atonement can really eliminate some ¨personal hard layers". This can be bad habits or sins. I can see that Heavenly Father puts us all in the refiner´s fire to help us be more like His Son. But the best part is that although we will progress and become better we still have our unique spirits. Every corn that we husked was a variety of colors. There were so many reds and oranges and yellows. It was awesome! How wonderful that all of us as children of God are different and unique but we all contribute in a way. The necessity of uniqueness is vital. Hermana Ruiz and I had a hard experience on Sunday. On the mission you hear some heart wrenching stories that are hard to hear. We came out of a lesson and Hermana Ruiz started to cry. She told me it was hard and that she felt so sad for the situation of the hermana. She asked me how it was possible to endure when everything around you seems lost. I told her that it wasn't a bad thing to have those feelings that it's actually a privilege to mourn with those that mourn. But I learned long ago that we can't do it alone, we need to depend on Christ like the apostles did during their ministry. And we need to help others do the same. I love this work and I love seeing the hand of the Lord. I know that He is personally ¨taking away the husks¨ to help us find and live to our potential. Got lost...per usual but hey we found the Tlax sign! As you may have noticed... the skirts are coming back and the struggle is real. But hey that's okay because obedience is necessary to see some miracles! Hermana Ruiz and I are still in that weird limbo where we are trying to get more familiar with our area. The church is true because of revelation. And revelation is definitely necessary in our planning. I feel like we are being stretched with our faith and trust in the Lord. I'll explain... there are a couple of pueblos that are a bit far. Usually missionaries don't really focus on these places because it would be hard for investigators to go to church. But we felt a strong impression to visit one that's about 30 minutes away. We have no records of missionaries working there in the past. While we were there we didn't have much luck with our contacts until we saw an older woman taking a rest before a really steep hill. We asked to help her with her bags and off we went! We walked for about a good 40 minutes. I think those hills almost hit the heavens they were so steep. When we got to her house, we were able to meet her kids. They expressed the lack of God in their lives and we invited them to church and they came! Then an older couple in our ward accompanied us in one of our charlas and turns out they are cousins that haven't seen each other since their childhood! This was super special to me because it reminded me of my cousin Ryan and his conversion. He is on a mission in Japan now. Love you Ryan! Basically, we trusted in the Lord, acted and He blessed us with more investigators to teach. In the Book of Mormon in Alma 37:11-12 it talks about our need to trust in the Lord even when we don't understand everything because His ways are not like our ways. There are 3 specific reasons why we need to trust in God found in verse 12. I invite you guys to read it. Best of all Esme got baptized which is a miracle in itself! Mom's doing the countdown and Hermana Ruiz is having fun with the board. How many cachorros can Hermana Herrera hold? Esme's baptism!!! She is such a great example to her family! Guys this week was so great! I just want to write an email of gratitude. First of all, Hermana Esmeralda past her interview for baptism. She is the teenager that got the miracle permission from her father. She is going to get baptized this Saturday! Today Hermana Ruiz and I headed to Puebla because I had an interview with our mission president. I came out of my interview and guess who I saw? My old companion Hermana Romero and she looked happy as ever! That's what I want to talk about today.... there is a common phrase here that says ¨Pueblo chiquito, Infierno grande.¨ The chiste or chisme ha.. is that it doesn't take very much for something to get around. And I think that's true but we can change the infierno to something a lot better: CIELO. I have seen over and over again how people follow by example. When we all follow our Savior Jesus Christ our example can be contagious. We can inspire others. It just keeps going on and on... like a positive train. Just look in the Book of Mormon with Aaron and King Lamoni's father. His heart was softened with the words of Aaron to the point where he was ready to be humble enough to receive an answer from God. I love his heartfelt prayer that is found in Alma 22:18. He starts off by saying, "Oh God, Aaron hath told me that there is a God....¨ People depend on examples to have the inspiration to change. I am so grateful for Hermana Ruiz and her example. Sometimes I don't even feel like I'm training because she is so prepared and ready to do her best. I love you all. Have a great week! Guys my area is beautiful! Blessed! What does Halloween mean for me? A ton of pan de muerto. Also meet Carmelo. We are teaching him and his wife.